Following Camila was never going to be easy. No one could have predicted the runaway success of the first to jump the Fifth Harmony ship, but Cabello’s trajectory from anonymous girl bander to breakthrough solo star has been almost unparalleled. Her success is largely down to a single track, her runaway hit ‘Havana‘ kickstarting a career that originally looked set to stall. Having blazed the trail, it’s no wonder the remaining members of Fifth Harmony are looking for a taste of that sweet solo pie. 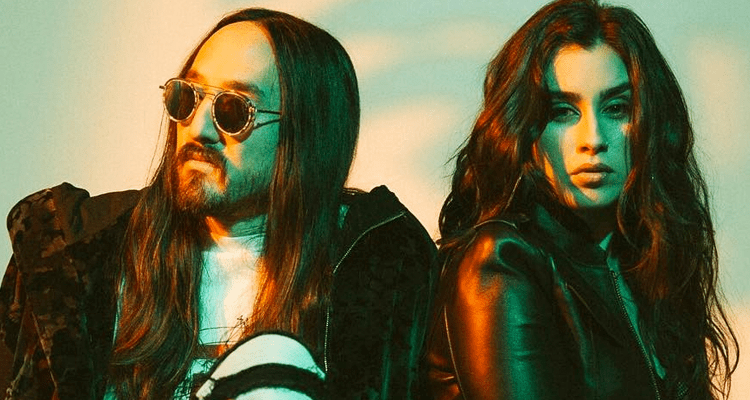 The latest member to put herself in the spotlight is Lauren Jauregui, teaming up with electro house producer Steve Aoki on new track ‘All Night’. Aoki is a risky choice for a collaborator, given his rather chequered past when it comes to producing pop hits. His previous collaborators include the likes of Iggy Azalea, LMFAO and Linkin Park – hardly a sparkling indictment – though his knack for making decent dance tunes did earn him a Grammy nod in 2013. But Aoki doesn’t have great form when it comes to kickstarting the careers of former pop banders, having worked with Louis Tomlinson on his debut single ‘Just Hold On’, a vanilla dance track that failed to live up to the successes of his former band mates. Surely Jauregui will be looking not only to match the success of frenemy Cabello, but better it. Sadly, ‘All Night’ isn’t the song to do it. A tepid pop snooze, it’s an unremarkable mid-tempo track that’s too slow to play in a club and too dull to warrant a second listen. It’s a track that never finds its groove, regurgitating the same weak hook over and over in the hope it will stick. But it never does. Jauregui yawns her way through this limply-produced and desperately unoriginal pop flop that sounds like a rejected track from Fifth Harmony’s disappointing last album. Worst of all, it’s a million miles away from the arresting sound of ‘Havana’, something Jauregui must surely be aware of. That said, let’s not forget we had to suffer through the similarly uninspired ‘Crying in the Club‘ before we got ‘Havana’, so although ‘All Night’ doesn’t point to great things for Jauregui’s solo career, it’s still too early to write her off just yet.